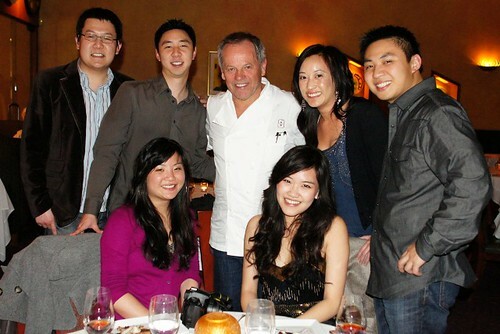 Spago has one of the richest histories in LA dining, having been Wolfgang Puck’s flagship restaurant for decades. 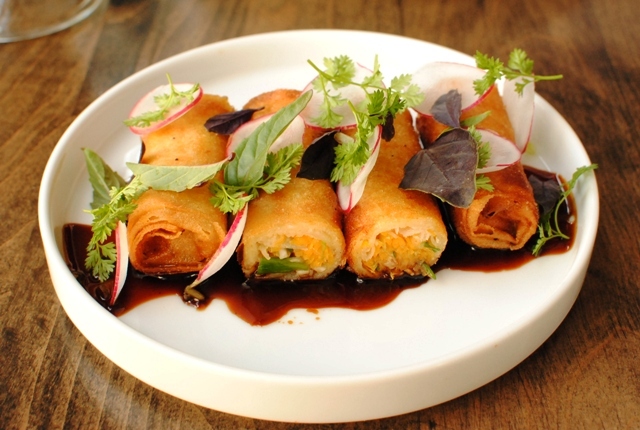 It used to be one of my favorite restaurants when I first moved to LA; there was something about the upscale Asian-inspired dishes that captured my attention. 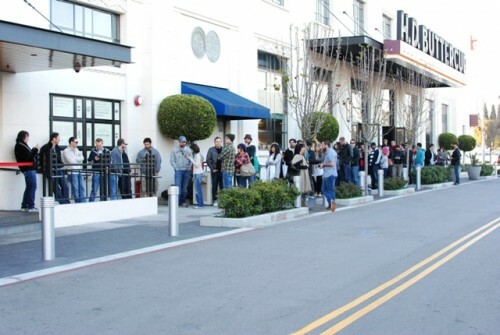 However, when the first Michelin Guide in LA came out and awarded Spago two stars, I was perplexed. I enjoyed the food, sure, but the cuisine wasn’t as refined and innovative as other two-star restaurants I’d been to. Enter the tasting menu. 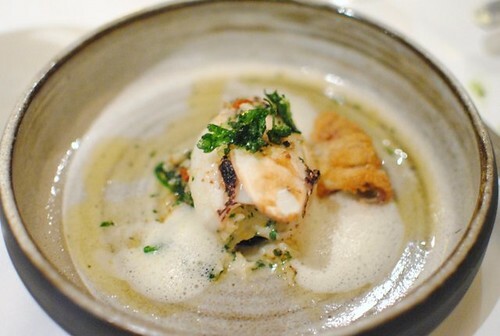 I’ve always ordered a la carte in previous visits – when I heard the tasting menu was a very different meal altogether, I knew I had to visit again. Kevin of kevinEats was also looking to make a return trip, so I joined him, Christina of food, je t’aime, Sam of Bites for Me, Diana and Jackie to come try out the tasting menu. 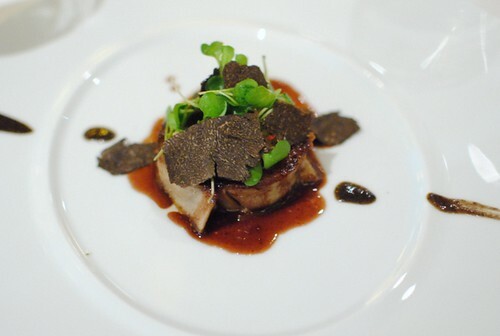 In true kevinEats fashion, Kevin requested an extended tasting and the restaurant obliged; what resulted was a 23-course meal with 15 wines to match. Goodness. We started with seven (yes, seven!) 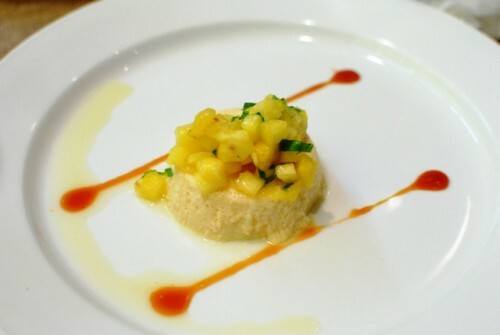 amuse bouche. 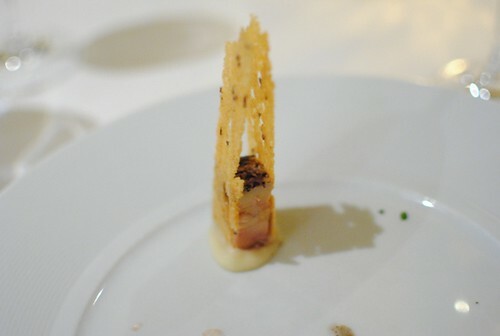 I think you always get this amuse at Spago, one of their signature. 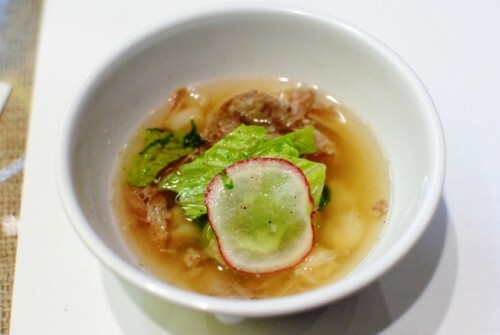 It’s a good one, with tender chunks of tuna balanced well with a little sweetness and texture from the sesame miso cone. 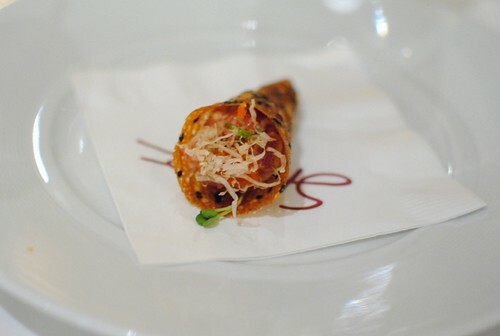 One of Spago’s famous dishes is a smoked salmon pizza. 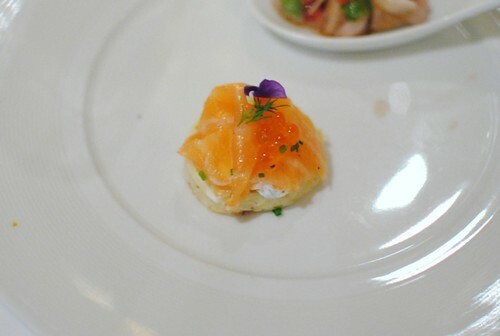 Here we have the house-smoked salmon on top of a blini; unfortunately, I didn’t get too much of the smoked salmon flavor, as I thought it was overwhelmed by the tart crème fraiche and salty salmon eggs. I wouldn’t say there was anything too special about this course, but it was done well. 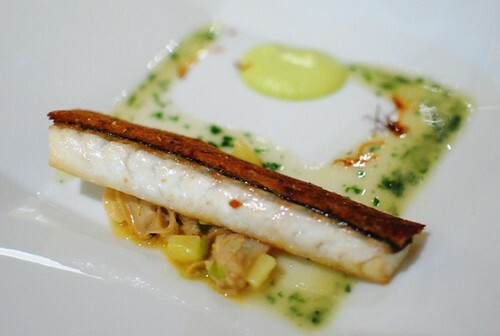 A little bit of citrus and herbal notes complemented the fish. 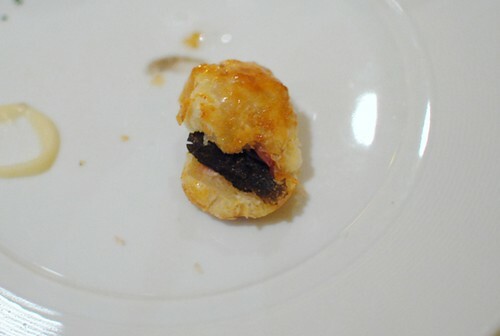 A very light brioche was filled with a quail egg, and then topped with black truffle. Sounds amazing….and it was! 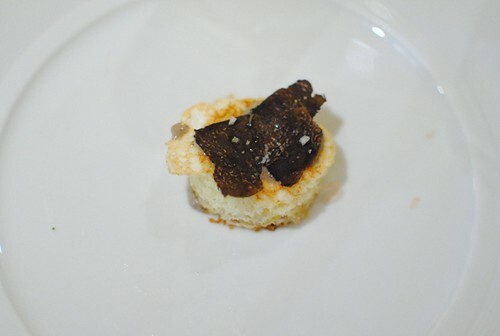 Runny egg yolks work so well with truffles, and this was no exception. The saltiness of the caviar worked well here in cutting through the richness of gratin; the bite as a whole was pretty tasty with the oyster. 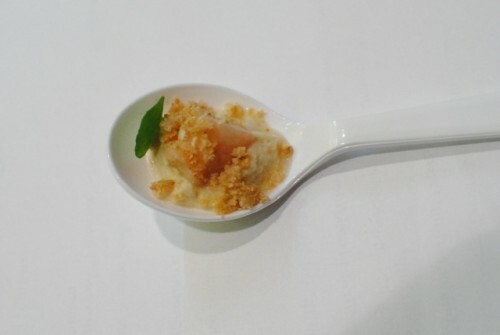 I liked the tandem of the sweet apple and rich duck liver. The rye crisp added just a little bit of texture, as well as a more interesting presentation. I really liked the smoky, meaty bacon within the flaky dough; however, I found it overwhelmed any black truffle flavor whatsoever. This was a palate cleanser to signal a transition from the amuses to more traditional courses. 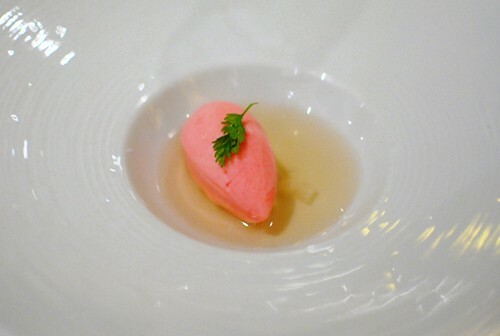 The sorbet was interesting – very creamy and sort of floral…I didn’t really care for it actually. 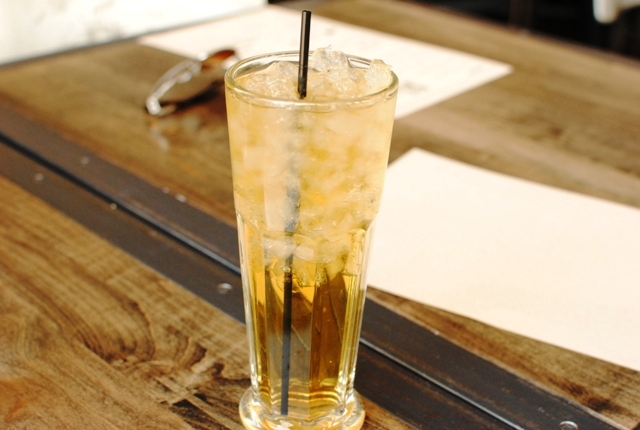 The jasmine tea was pretty solid though, as well as the small chunks of crisp, sweet Asian pear floating within. This was a standout dish for me. 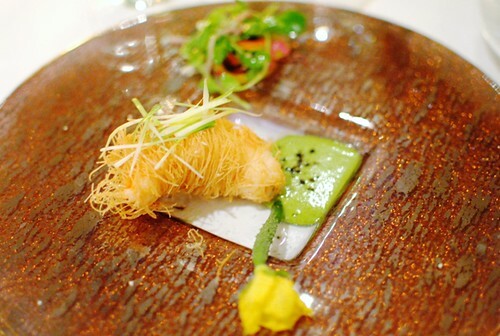 I love fried shrimp so I really liked the light, crispy phyllo dough around the prawn. There was a cucumber flower on the plate (never had this before); when eaten, it tasted just like a cucumber, adding some cool and refreshing crispness. I liked this dish as well. 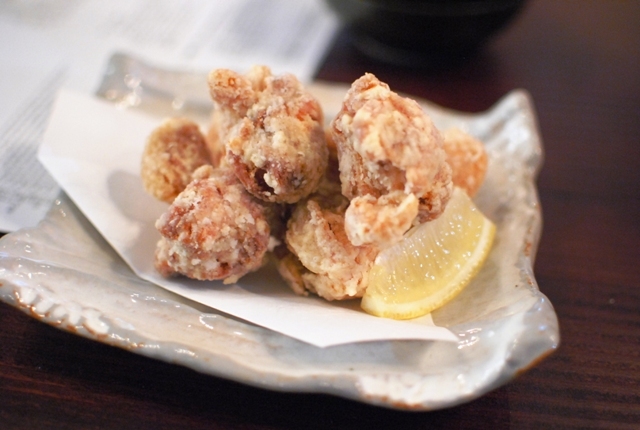 The sweetbreads were perfectly cooked with a crispy exterior. A rich pan sauce added depth of flavor, while the “pastille” was a fun way to add some sweetness and earthiness. I don’t think I’ve ever had head cheese before, so I had no idea what fromage de tete was at first. 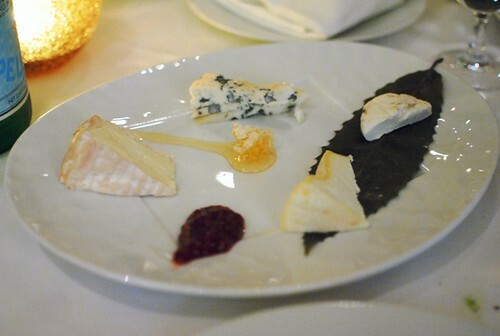 The “cheese” was very tender and rich, though the truffles were overwhelmed (again). The paired Riesling, with its mild sweetness, was a fantastic accompaniment. The sepia (cuttlefish) was stuffed with Dungeness crab, which I thought was an awesome idea. The sepia was very tender, and the fried calamari was executed well, providing some crunchy texture as well. 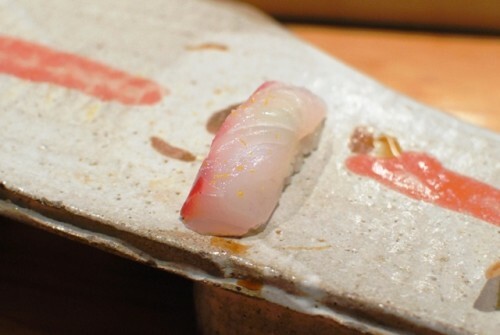 The fish was extremely moist – perfect. 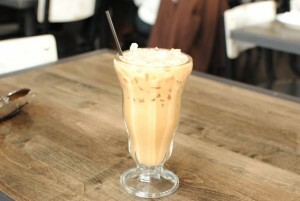 However, the rye added a wheat flavor which I didn’t totally like with it. Still, the fish was very good. The littleneck clams were tasty, though not really cohesive with the dish overall. The garganelli was a nice al dente, but wasn’t quite as chewy as some of the garganelli I’ve had elsewhere (ie Drago Centro). 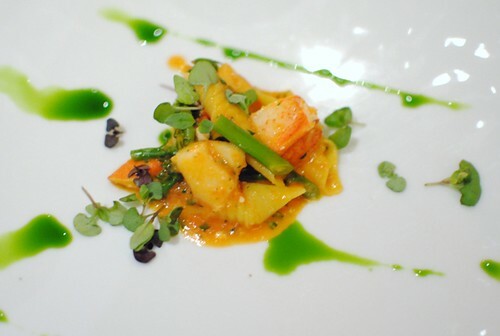 However, a solid dish with the tender lobster in a tomato sauce. The pasta here was wonderful. 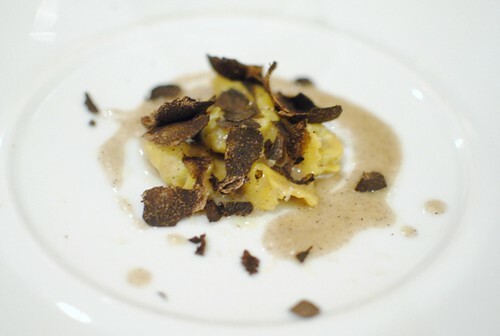 The celery root added some savory sweetness, while the butter sauce and truffles added some richness and the bulk of the flavor. Very nice. We progressed into some richer, meat courses here. Look at the rabbit ribs! 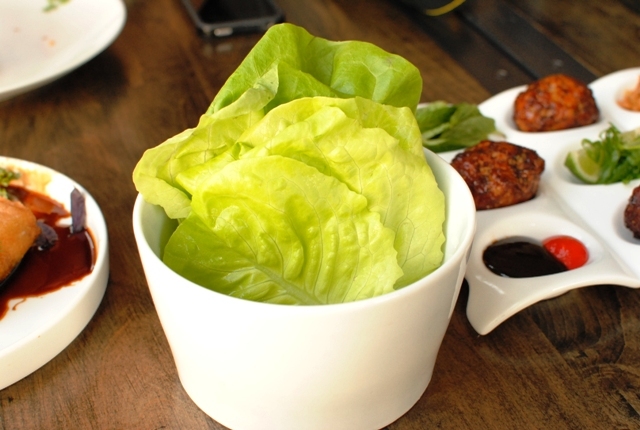 I found it a little uncomfortable to eat since I imagined this small bunny rabbit. I didn’t regret eating the meat, though, which was delicious. The loin was wrapped in bacon, which added a little bit more moisture and flavor to the dish. I thought the jus really brought everything together. Nothing too imaginative here, but this was a solid dish. 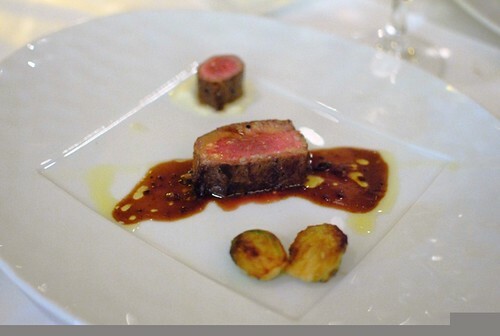 I like my meats, so I enjoyed this lamb, especially with the fennel puree. It wasn’t as tender as I expected, though. 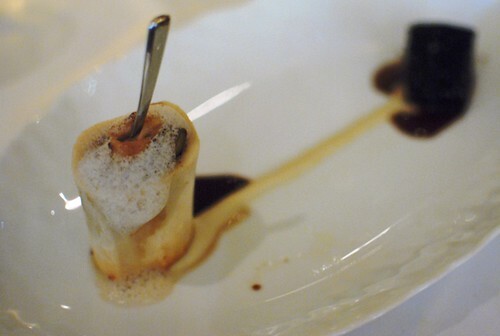 Love the idea of the bone marrow! The short rib was really tender, meaty and rich (though..when isn’t it?). 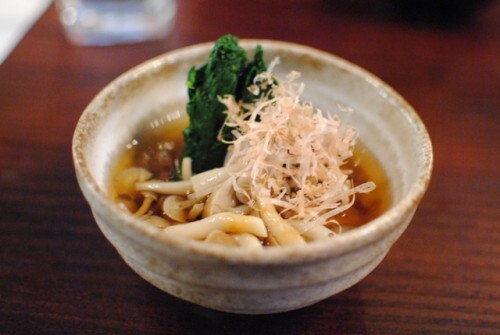 The bone was filled with chunks of marrow and maitake mushrooms, adding even more richness to this dish. A cabernet blend was the ideal wine pairing for this. I’m never a huge cheese fan. Given we had 18 courses already and had 4 desserts coming up, I opted to just try a small piece of each. Still not a huge cheese person. Pastry chef Sherry Yard came out to present the first dessert. 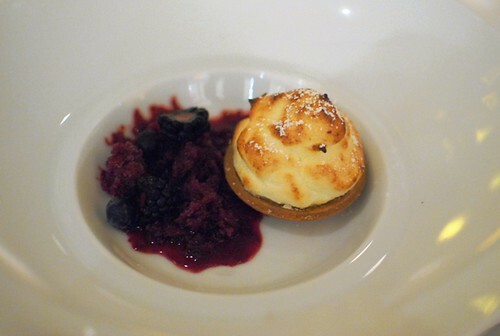 The soufflé was warm, light and airy and contrasted well with the refreshing fruits and blackberry sorbet. This Austrian favorite is one of Yard’s signature desserts. This was very much like a strawberry and pancakes brunch. I liked the dough quite a bit – it was very light with a subtle sweetness from the powdered sugar. The strawberries were okay, though I feel like I’ve had these flavors together dozens of times. 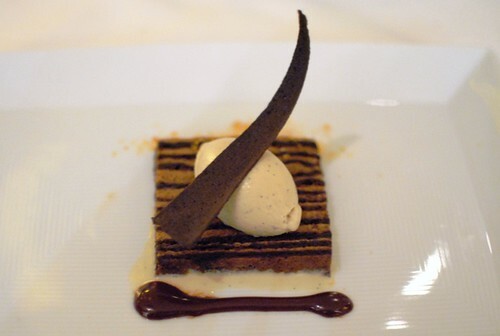 This is a rendition of a Hungarian cake, with layers of chocolate and a little caramel. The cake was pretty light, which I liked. Lastly (finally! 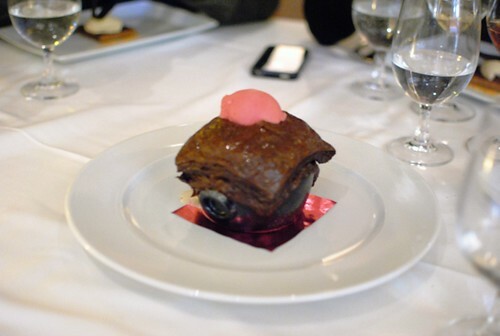 ), we had this “chocolate pot pie.” I think the top crust was a chocolate puff pastry, which we cracked to find more chocolate, crunchy cocoa-puff-like balls, as well as raspberry sorbet. This was probably the most interesting of all of the desserts. This meal was the strongest I’ve had here, and I quickly understood the Michelin stars…well, at least one of them. With 23 courses presented, I expected some to be very good and some to perhaps be duds. 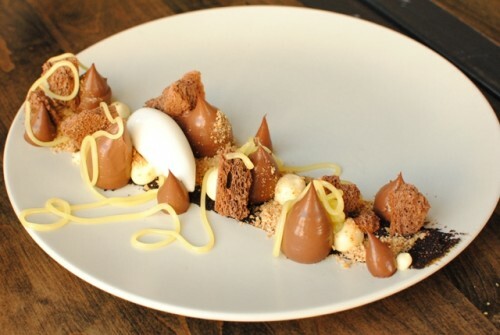 I wouldn’t call any of the dishes bad, though I found the desserts a little disappointing. 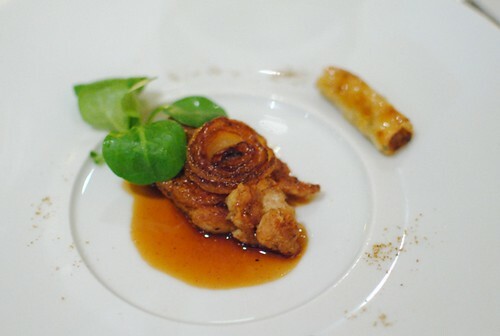 My favorite courses were the toad in a hole, spot prawn, sepia, agnolotti and rabbit. 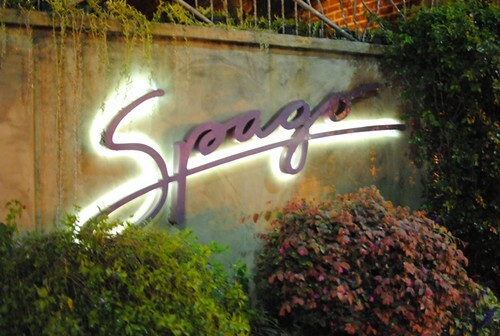 Consider my opinion of Spago changed; while I’ve enjoyed my a la carte experience each time, the tasting menu presents a more refined meal worthy of Michelin recognition. Next time, though, I don’t think I need to try as many courses! I’ve blogged about Father’s Office before, but I figured this visit was worthy of a post on its own. You see, I’ve become more and more into the craft beer scene over the past year. Currently my favorite beers are India Pale Ales; one in particular is the double IPA Pliny the Elder from Russian River Brewery. 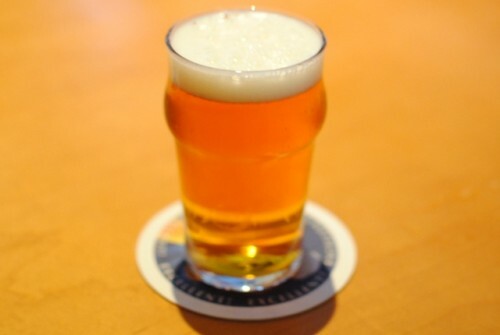 One of the most sought-after beers in America is another beer from Russian River – Pliny the Younger. This triple IPA is made once a year (each February) and is served at the brewery in Santa Rosa, CA as well as distributed to select bars around the west coast. 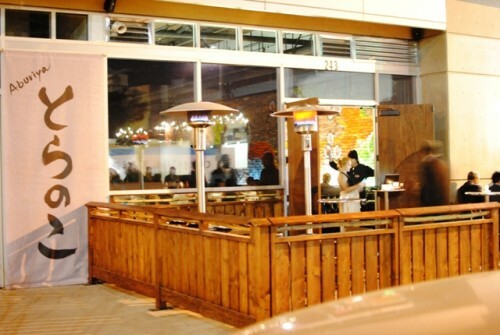 Much-publicized events at Surly Goat and Verdugo Bar earlier in the week were met with lines hundreds deep by the time of opening, while only the first 40-50 were lucky enough to score a taste. Father’s Office went with a different approach; they didn’t publicize when they were serving the beer. My friend had a “hunch” that the beer would be on tap this President’s Day. Clearly, others had a similar impression. When we got there around 4:30, there were about 20 people in line; by the time of its 5pm opening, the line was at least 50 strong. Our party of 6 came at different times; luckily, the first two to arrive were 3rd and 4th in line and were able to secure a prime table right by the bar. At the bar, two taps were pouring Pliny the Younger nonstop. This was the moment we had been waiting for. The Younger was a very good beer and actually tasted very similar to its “Elder” sibling. I thought it was a little less bitter and a little more floral, but still a ton of hop flavor. I wouldn’t wait hours for this, but if it was produced year-round, it’d definitely be in my regular rotation of beers. I’m glad the bar didn’t limit the beers to one per person; one could go up repeatedly to get more until they were out. Some food was in order, of course. One of the most talked-about burgers in the city, the Office Burger is definitely one of the better burgers in the city. 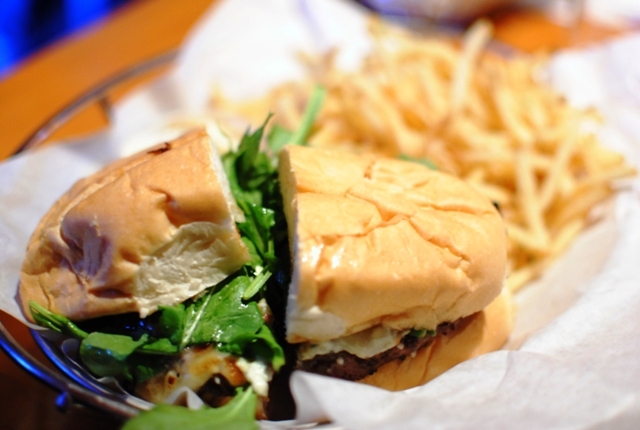 It’s very meaty and juicy, balanced by some bitterness from the arugula and sweetness from caramelized onions. Goes very well with a hoppy IPA. Unfortunately, I forgot to take a picture of these; the brussels were roasted to a crisp, leaving a nice smoky, charred flavor. A long strip of jamon accompanied the vegetable. I thought the pork could’ve been incorporated better though, as the two flavors were mostly separate. This looked so delicious when it came out. The flatiron steak, however, was very chewy even though it was cooked a requested medium-rare. 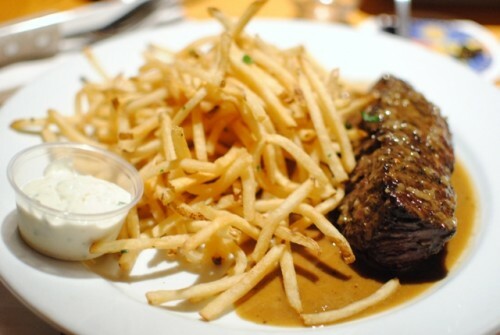 The flavors were spot on though, with a really nice shallot-cognac sauce – mopping up the sauce with the fries was fantastic, if not a little salty. This was a wildly successful trip to Father’s Office. Good beer, good company. I’m glad that I’m able to now say I’ve tried Pliny the Younger. 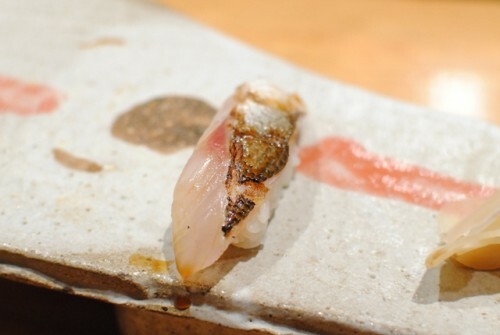 Mori Sushi has the distinction of being one of three Japanese restaurants (Urasawa, Sushi Zo, Asanebo) to have garnered a Michelin Star in the latest guide…a distinction which seems to be indefinite. I’ve been to Mori once before, but for lunch. I ordered one of the sushi combos with some a la carte items, but I didn’t think I got an accurate representation of what Mori had to offer (I was underwhelmed). 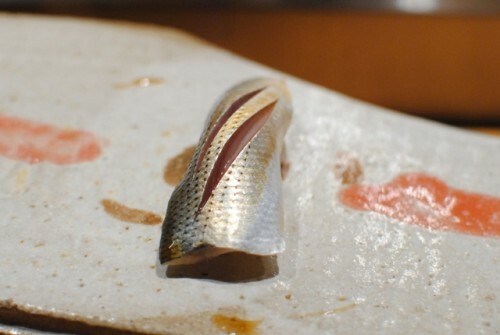 One claim that struck me is that Chef Mori Onodera only buys fish and vegetables for the restaurant. The rice and soy are both homemade; quality control is of utmost importance. 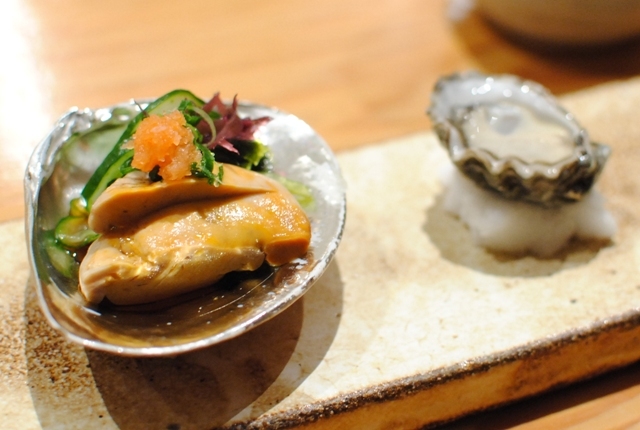 Even most of the plates used are handcrafted by Mori himself. Sounds like my type of place! 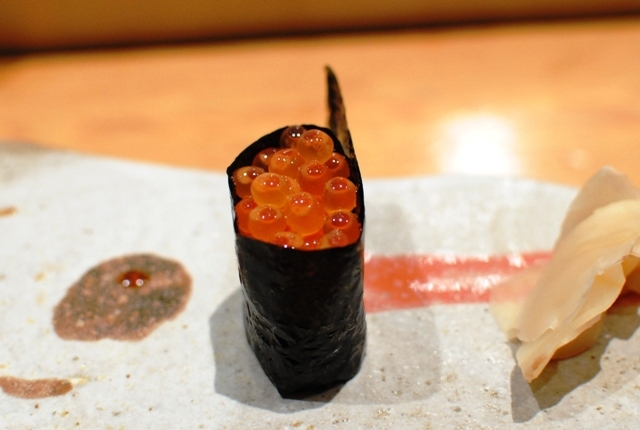 Three different omakase are available: we opted for the sushi omakase. 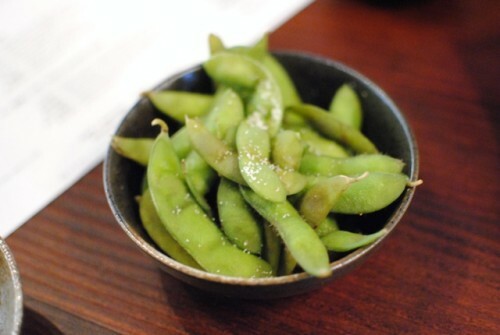 This would have a couple of small plates, but primarily be sushi. 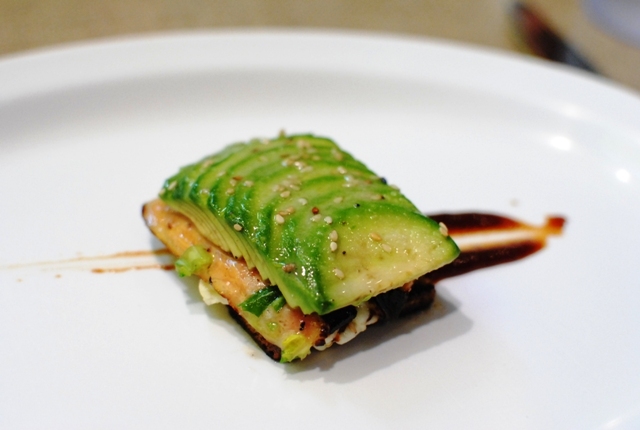 Here we started with a simple starter with just three components – an excellent way for Mori to show off his homemade tofu, homemade soy sauce and freshly grated wasabi. 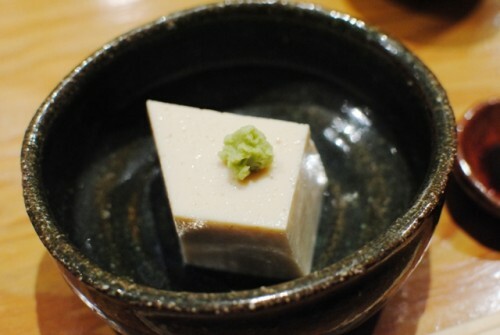 The tofu was very mild in flavor with a subtle soybean flavor – the wasabi and soy were integral in drawing out some of the flavors. Next was monkfish liver in a cucumber, scallion and seaweed salad, along with a fresh oyster, straight up. 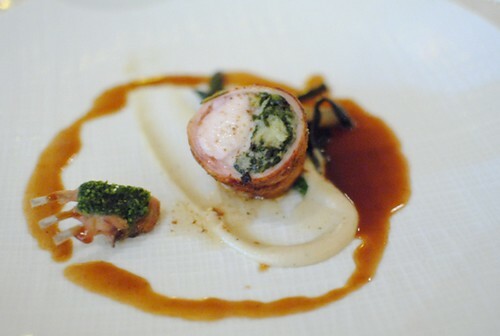 The monkfish exhibited a characteristic richness, delicious without being fishy. 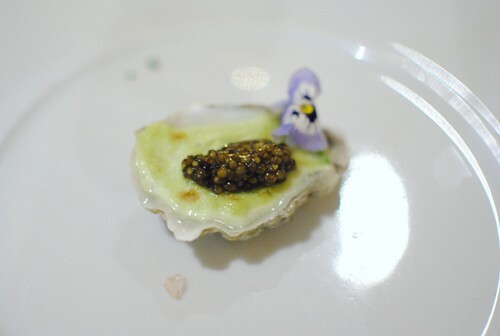 The oyster was good as well, though quite small. This would be the most “complex” dish of the night. A hot soup came to the table with shrimp, clams, cod, parsley and bell peppers. I tend to fear soups like these as it’s so difficult to cook the fishes appropriately while it’s sitting in hot soup. I thought the cod and clams were pretty spot on, but the shrimp were overcooked. 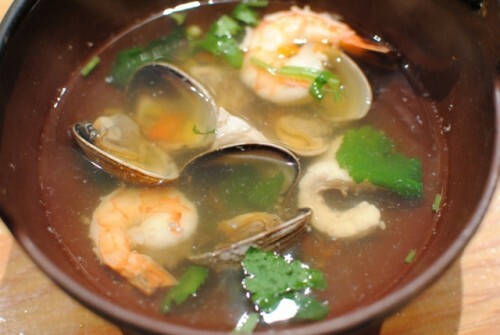 The broth, however, was very nice – a subtle but present seafood flavor was accented by the sweetness of the bell peppers, as well as herbal notes from the parsley. 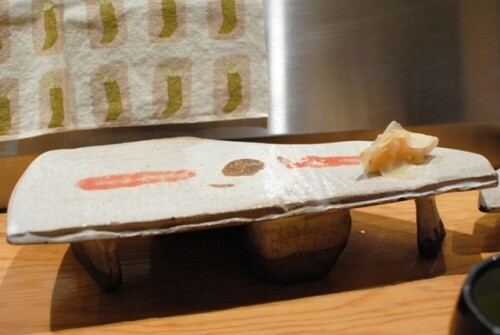 This platter (perhaps designed by Mori himself) signaled the start of sushi. We started with this solid red snapper. 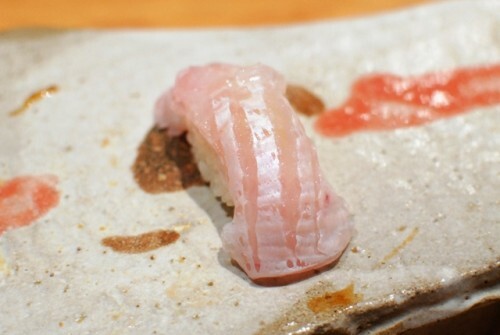 I first noticed (as I had during my previous visit) that the sushi pieces here are some of the smallest I’ve seen. The fish:rice ratio was good, but I wanted just a bit more fish and rice in each bite. 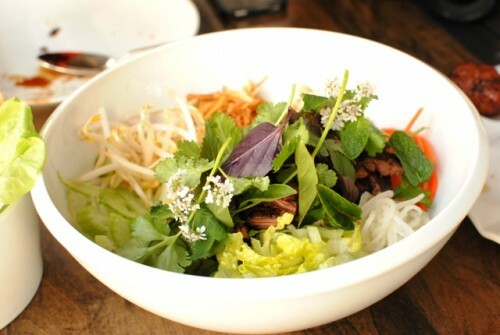 The rice was perfect – warm and loosely packed, with just a little bit of textural feel. 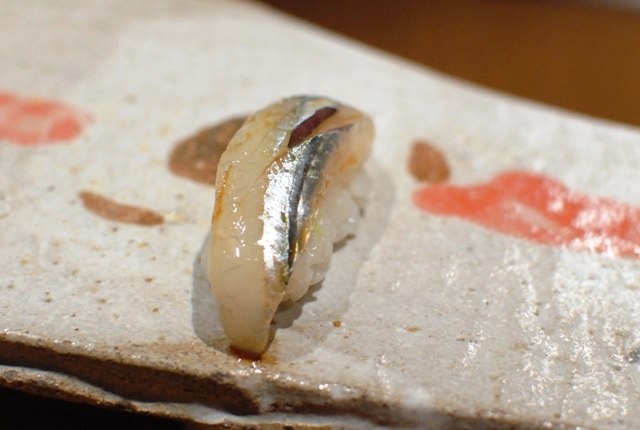 I’m not sure if I’ve ever had needlefish, but I enjoyed this one as well. Characteristically tender and soft, this was a good bite. Yay for toro! 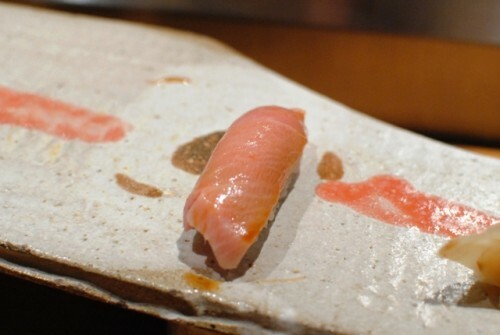 As expected, the fish was silky smooth and melt-in-mouth. A good example of toro, though not really close to Urasawa’s. This piece was a little fishy, though I’m not really sure if that’s just characteristic of this type of fish. Very tender, however. 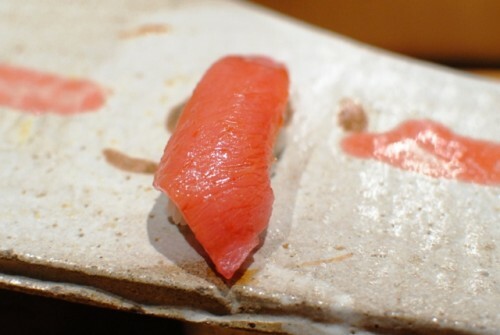 I liked this chutoro (medium-fatty) example as well, smooth and tender; however, I enjoyed the bluefin toro a little more. 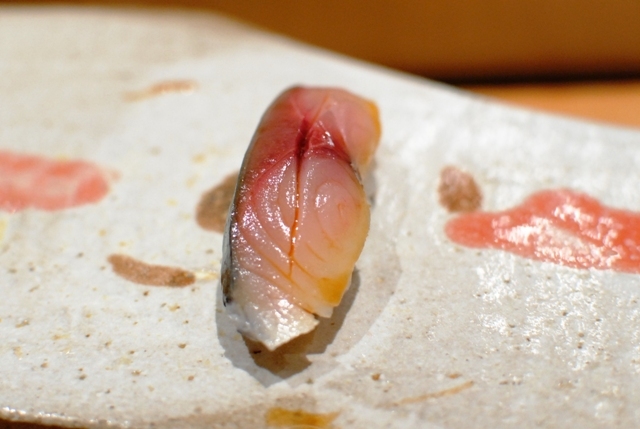 Another fish that was subtly fishy and very flavorful. 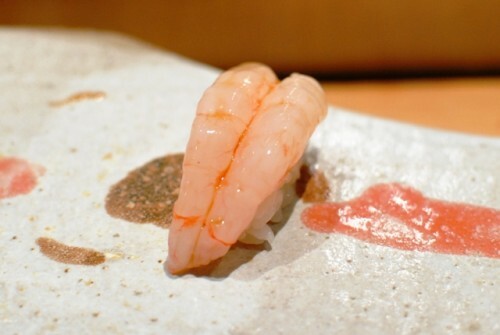 Sweet shrimp (amaebi) is typically one of my favorite pieces of sushi. This one, from Boston, was no exception; sweet with a squishy texture – I really enjoyed this one. 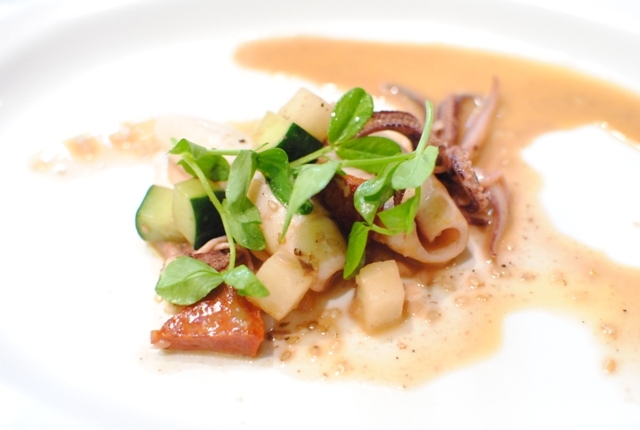 The squid and octopus were both similar in texture – surprisingly quite tender, though a little…slimy. I was surprised by the octopus though, as I’m more accustomed to chewier textures. Topped with yuzu, this piece was a lot chewier than I anticipated. I liked the flavors of the fish and yuzu, however. The barracuda was seared with a blowtorch, giving this a nice charred, smoky flavor as well. Similar to the halibut fin, this was a little chewy, but I enjoyed it. Not fishy at all. 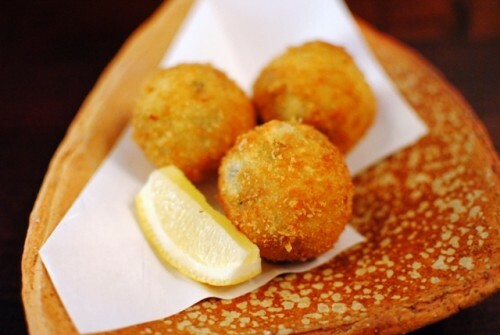 The eggs burst with a briny taste of the ocean. When I was younger, I didn’t enjoy these eggs but I’ve grown to actually really like them. Loved that we were presented with two types of uni for comparison. 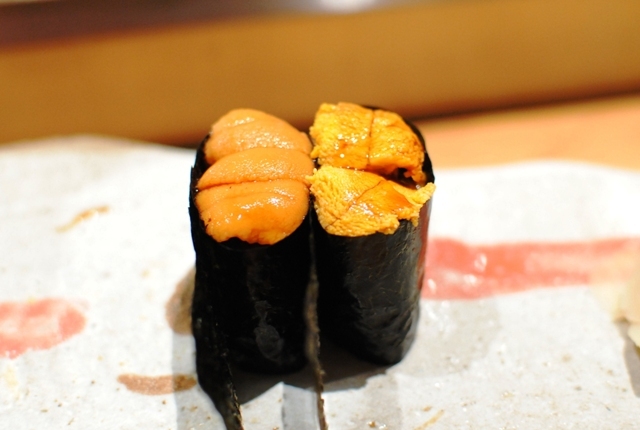 The Hokkaido uni is on the left, while Santa Barbara on the right. I actually preferred the Santa Barbara uni (and thought its color was more brilliant), as it had a sweeter, cleaner flavor. 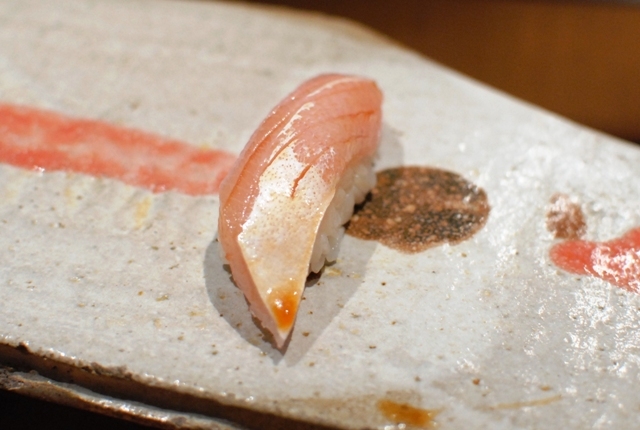 Lastly, we had another example of red snapper, this time with a yuzu accompaniment. I almost always like the citrusy fruit with fish, and it did not fail here. Made in-house. 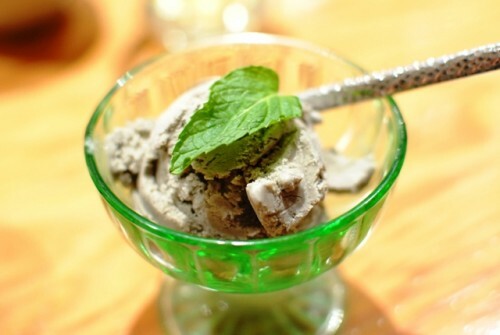 Loved this ice cream; it was rich and creamy, with just the right sweetness. The sesame flavor was very evident…just delicious. 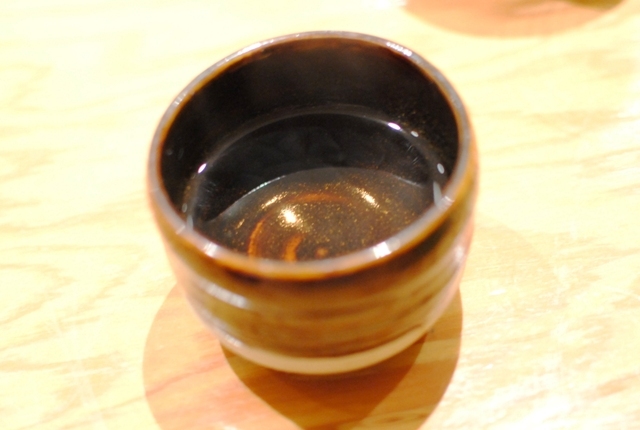 I often see this tea at the end of Japanese meals; always something to look forward to. The roasting gives the tea a distinct flavor. 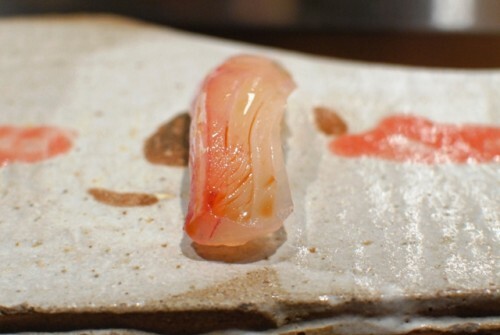 Food only, the omakase came out to $110 pre-tax/tip, which I thought wasn’t bad. 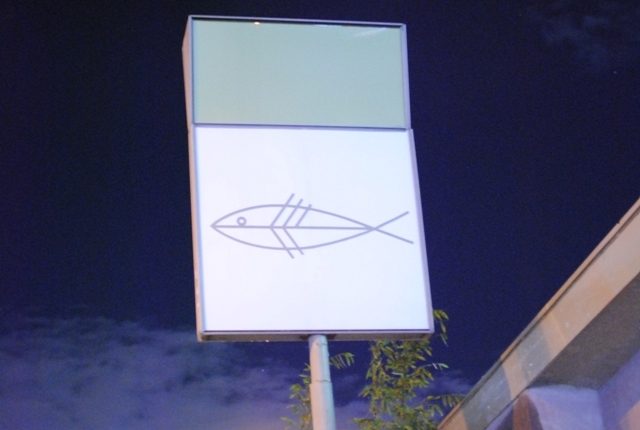 Though, there wasn’t a wide variety of fishes served. My biggest qualm was that, personally, I thought the sushi pieces were too small. It was good for a few chews and that was it, and the 16 sushi pieces weren’t really a lot of food. Nowadays, I always compare my sushi restaurants to Urasawa, which probably isn’t fair considering this meal was 1/3 the price. However, I think Urasawa, then Sushi Zo are a cut above; Mori and Sasabune are on the next tier for sushi. 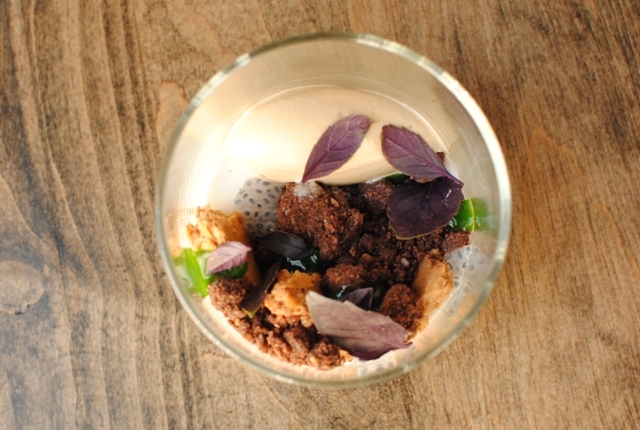 The Magnum pop-up is the brainchild of David Haskell and Joseph Mahon. 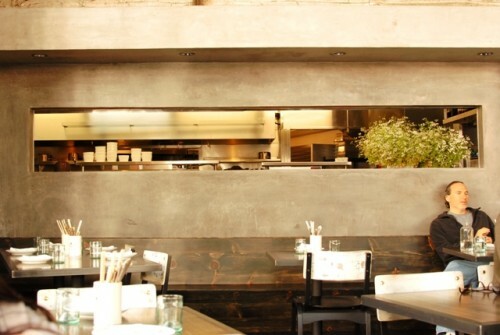 Haskell is one of the city’s more notable wine personalities and handles the alcohol pairings, while Mahon (who handles the food) is a chef with a fine dining background, most recently at Bastide. 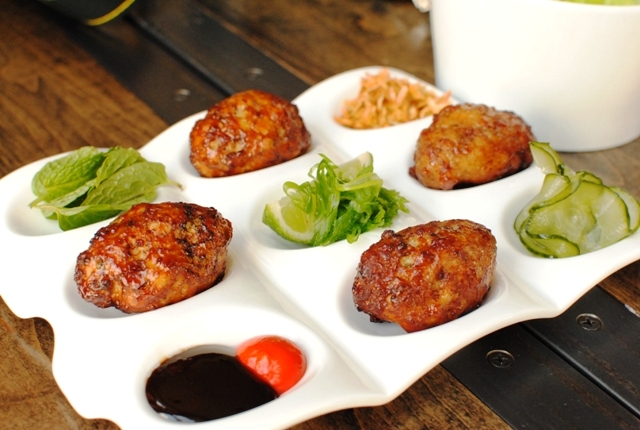 This is their second version of the pop-up, with the first being focused on Korean cuisine. While the location is technically in Koreatown, the focus of this iteration is on Mexican. Pal Cabron is a self-described hole-in-the-wall Mexican restaurant specializing in cemitas and clayudas (kind of like Mexican burgers and pizzas). It was interesting seeing the juxtaposition of having very refined dishes being served in an atmosphere without tablecloths or linen napkins. 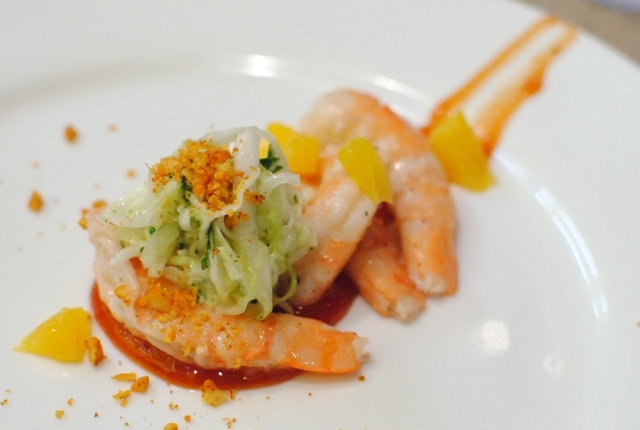 I liked this starter – the shrimp was plump and sweet, while the chicharones provided some nice crunch. 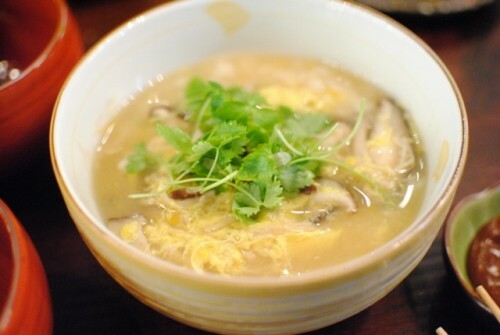 I also liked this soup – perfect for the cold, rainy weather we’ve been having. The soup had a deep and hearty meaty flavor, which went well with the mildly sweet corn. 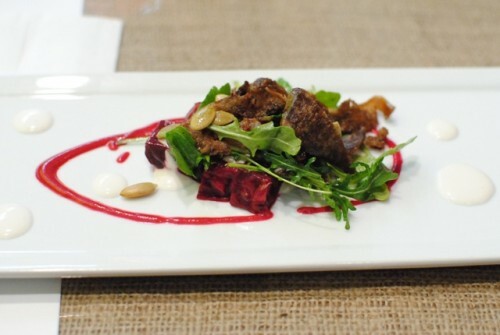 The veal tongue was great here, adding a little bit of meatiness and crispiness to this dish of beets. 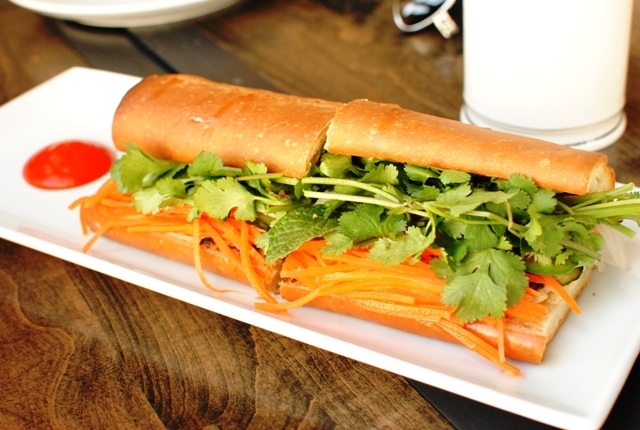 The arugula was a good addition as well, adding its characteristic pepperiness. 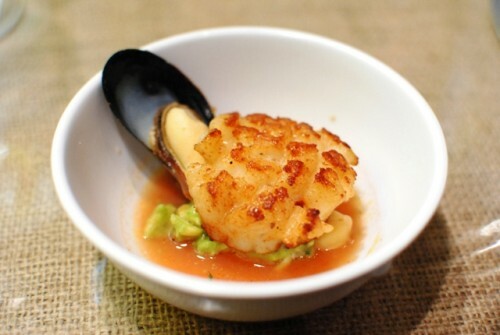 The strong dishes continued with this large, perfectly-cooked scallop. I liked the meatiness of the avocado pairing, as well as the tomato-based broth and prosecco pairing to cut through the richness. 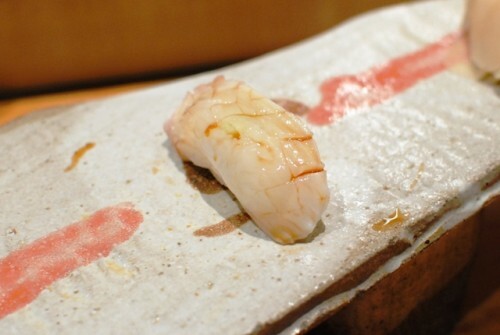 The shrimp was cooked well, leaving it nice and plump. 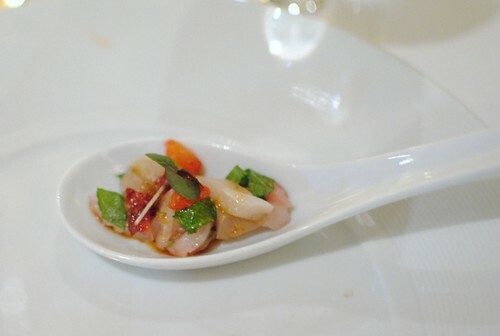 This was similar to a “constructed” shrimp cocktail, essentially. I liked it, though it wasn’t quite as interesting as the others. Haskell poured this next pairing, a mezcal, out of a plastic gas can. The mezcal had a strong, smoky flavor which paired brilliantly with the rich foie gras and avocado, as well as the barbecue sauce. Very nice. 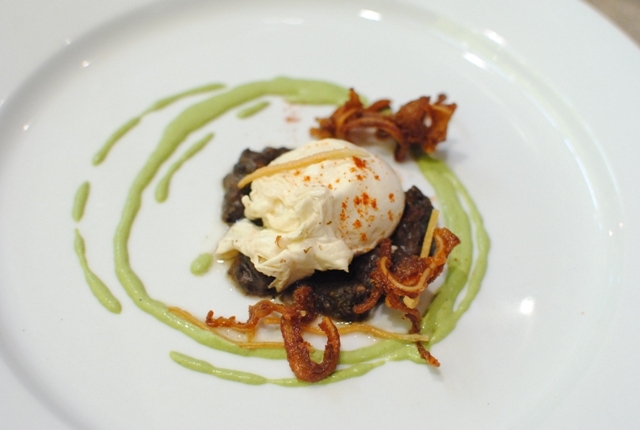 It’s hard to beat a perfectly poached egg. 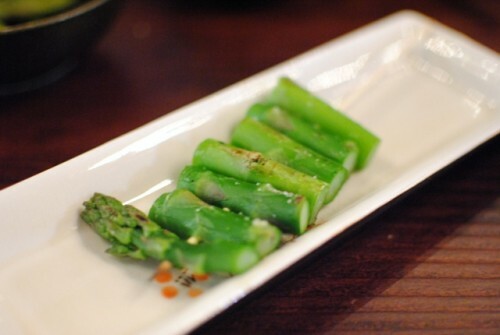 Here it was paired with some flavorful beans and scallion cream, which made a very nice combination. The fried pig ears added the texture – but too much. I found them too hard and chewy to be enjoyable. 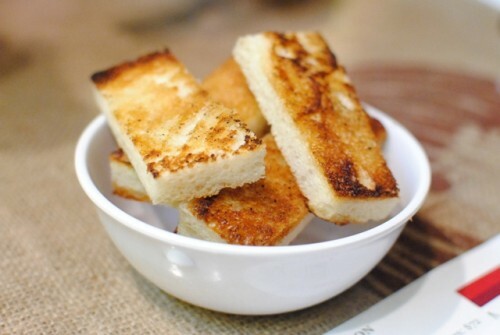 Kevin had the clever idea of ordering some toast (typically for the cemitas) to mop up the sauce. The bread here was money. 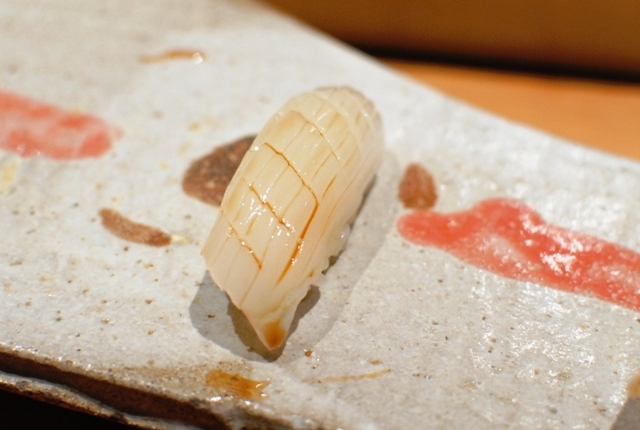 The squid was cooked perfectly, yielding a very tender texture. The chorizo had a strong flavor, almost overpowering the squid, but I thought it worked well. 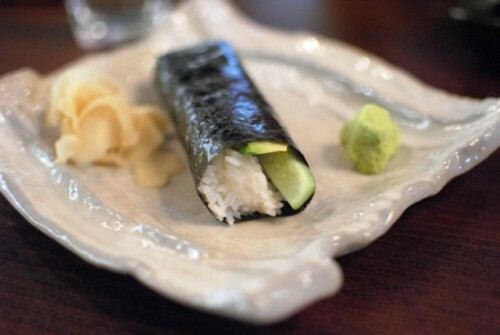 Finally, the cucumber and jicama adding a little texture and freshness to the dish. I think flank steak is a very underutilized cut of meat. 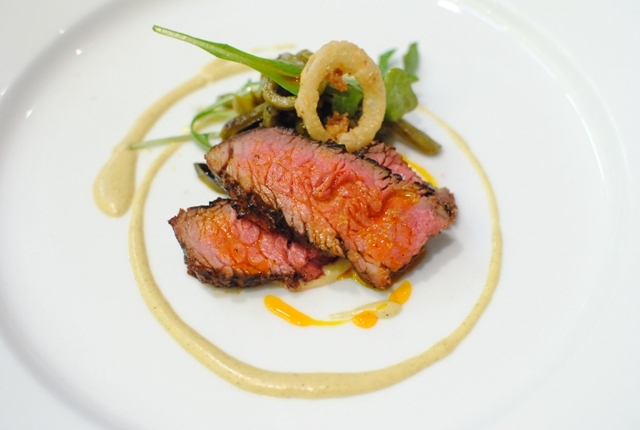 It’s a relatively reasonably-priced cut of beef, but it packs so much flavor. No exception here, and I liked the sweet grilled corn sauce pairing. The cactus salad was interesting; it had a sort of slimy feel to it, similar to okra. 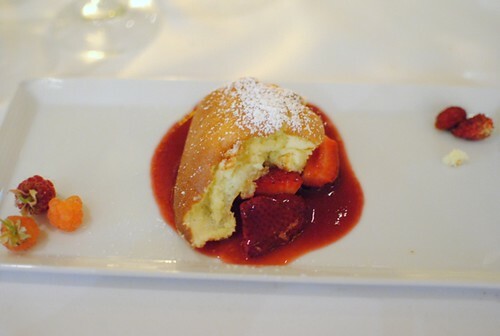 This was a little bit of a richer, denser flan than ones I’ve had before. However, I liked the sweetness of the pineapple and caramel sauce to pair. 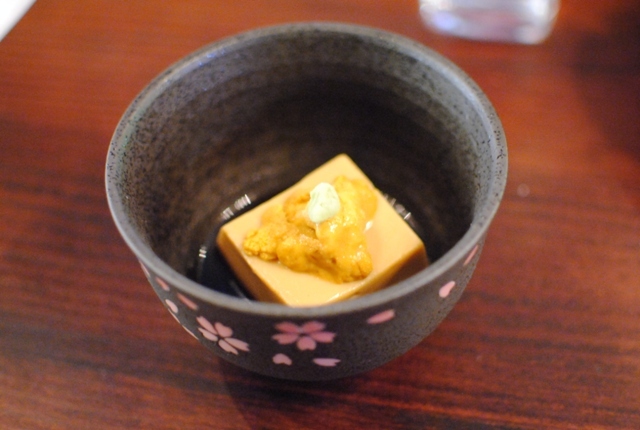 Lastly, a milky sake was paired with this dish, which I enjoyed. I thought my first meal at Magnum was a large success. I enjoyed the food – it was refined, imaginative and executed well. The wine pairings did not disappoint either, and I had high expectations given Haskell’s pedigree. However, I did think the cost of the food ($92 before tax/tip) was a little higher than I expected in this setting.